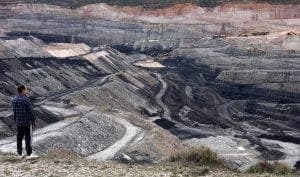 SPAIN will close most of its coal mines by the end of the year under a €250 million deal with the unions. The money will be invested in the 10 affected mining communities over the next decade to help them recover from the shut down. The agreement also allows miners over 48 years old to seek early retirement and includes re-skilling schemes for those working in new ‘green’ industries. But over 1,000 miners and subcontractors will be made redundant by the new year closures. “With this agreement, we have solved the first urgent task we had on the table when we came to government,” said Teresa Ribera, minister for ecological transition. “Our aim has been to leave no one behind. We also want to go further, we want to innovate.